EMA is proud to have received the various certifications, awards and accolades listed below. These are a testament to our unwavering commitment to corporate excellence. 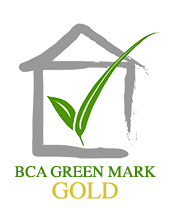 The BCA Green Mark Scheme rates buildings according to five key criteria - energy efficiency, water efficiency, environmental protection, indoor environmental quality, and innovative green features - that contribute to a better building performance. EMA has achieved the Gold standard under this benchmarking scheme. EMA was conferred the SHARE Gold Award 2015 at the Community Chest Awards on 25 September 2015. This award acknowledges the fund-raising efforts by organisations towards community giving and corporate social responsibility, as well as their partnership with Community Chest to help those in need. Organised annually by the Singapore Human Resources Institute (SHRI), the Singapore HR Awards celebrates leading organisations and HR practitioners in their drive for impactful human resource strategies. EMA has been conferred two awards on 10 July 2015 – Leading HR Practices in Lifelong Learning and Leading HR Practices in Quality Work-Life, Physical & Mental Well-Being. EMA was conferred the SHARE Gold Award 2014 at the Community Chest Awards on 17 September 2014. This award acknowledges the fund-raising efforts by organisations towards community giving and corporate social responsibility, as well as their partnership with Community Chest to help those in need. Organised annually by the Singapore Human Resources Institute (SHRI), the Singapore HR Awards celebrates leading organisations and HR practitioners in their drive for impactful human resource strategies. The Eco Office certificate, awarded by the Singapore Environment Council, recognises EMA's efforts in implementing environmentally-friendly policies, recycling practices, and consumption and waste management strategies. EMA was conferred the SHARE Gold Award 2013 and 10-Year Outstanding SHARE Award 2013 at the Community Chest Awards on 18 October 2013. This award acknowledges the fund-raising efforts by organisations towards community giving and corporate social responsibility, as well as their partnership with Community Chest to help those in need. Introduced in 1997, the Home Team NS Awards for Employers are presented by the Singapore Police Force and the Singapore Civil Defence Force annually. EMA was presented the Meritorious Home Team Partner Award 2013 for its contributions and support towards National Service activities. Organised annually by Singapore Human Resources Institute (SHRI), the Singapore HR Awards celebrates leading organisations and HR practitioners in their drive for impactful human resource strategies. EMA has been awarded the Leading HR Practices (Special Mention) in Compensation & Rewards Management on 5 July 2013. This Special Category Award recognises organisations with compensation, salary and rewards management programmes and systems that meet business needs. EMA was conferred the Singapore HEALTH Award (Silver) on 30 November 2012. The Singapore HEALTH (Helping Employees Achieve Life-Time Health) Award 2012 is presented by the Health Promotion Board to give national recognition to organisations with commendable Workplace Health Promotion programmes. EMA was conferred the SHARE Platinum Award 2012 by President Tony Tan at the Community Chest Awards 2012, Istana on 18 October 2012. This award is a tribute and endorsement of the fund-raising efforts by the award winners, towards community giving and corporate social responsibility and their partnership with Community Chest to help those in need. Organised annually by Singapore Human Resources Institute (SHRI), the Singapore HR Awards celebrates leading organisations and HR practitioners in their drive for impactful human resource strategies. EMA has been conferred the Leading HR Practices (Special Mention) in Quality Work-Life, Physical & Mental Well-Being Award on 6 July 2012. This Special Category Award was bestowed to organisations that have developed effective and innovative policies/programmes that help employees achieve effective quality work-life, physical & mental well-being, which in turn increase employees’ satisfaction, productivity, performance and retention. EMA was conferred the Meritorious Defence Partner Award at the Total Defence Awards. This award is presented in appreciation of organisations that have shown commendable support for Total Defence. The Total Defence Symposium was held at the Raffles City Convention Centre on 2 July 2012 to commemorate SAF Day and recognise the contributions of employers, NSmen and Civil Resource Owners. It comprised the NS45 Showcase, Employers’ Forum, Total Defence Awards Ceremony, and SAF Day Combined Rededication Ceremony. EMA was conferred the SHARE Platinum Award in 2011. This award is given by Community Chest and is a tribute and endorsement of the fund-raising efforts of the award winners towards community giving and corporate social responsibility and their partnership with Community Chest to help those in need. The Smart Grid Initiative Award was conferred to EMA by the Power & Electricity Awards 2011. 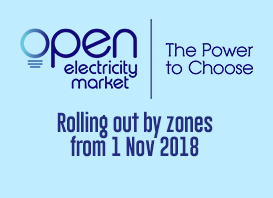 This award recognises the efforts, accomplishments and positive contributions of EMA to the growth and development of the power and electricity sector in Asia. The Smart Electricity Government Award was conferred to EMA at the inaugural Asia Power and Electricity Awards 2010. This award recognises the efforts of an Asian Government agency in creating a conducive environment for the adoption and development of smart energy technologies. The award is also a testament to the dynamism of the energy landscape in Singapore. EMA was conferred the award in recognition of our proposal for ‘Conversion of Electrical Technician Licence to Lifetime Licence’, which translated to projected annual cost savings worth $1.4 million (equivalent of time saved). The Frontier Award programme is managed by the Ministry of Trade and Industry (MTI) Research & Enterprise Division, Ministry of Finance (MOF) & Infocomm Development Authority (IDA). It is intended to encourage agencies to pro-actively review their licensing processes, with an aim to create a competitive pro-enterprise environment and derive cost savings for businesses and government agencies.